Day 25 of #107days. I gingerly took a peek back at Day 25 from a year ago. Phew. A good day. LB was on good form. Noisy and bouncy. Fascinated by news of the break in at Rosie’s student house. Day 25 this year is a ‘taking stock’ day while Deborah and Daniel pound the streets LB loved so much in the London Marathon (thank you both so much). So, what a start. There has been an astonishing response from people and a range of activities/actions that is remarkable. Gallus and Mr Effie (and a handy stepladder) drew a bus in the sand on a Fife beach while Katie Peacock drew together two Yorkshire villages in a day of connecting and awareness raising. Sukey Carder created LB inspired hairstyles, winning the hair competition and Zinnia, a horticultural social enterprise scheme, had a day planting seeds to raise awareness and funds for the campaign. On the same day, Kay shared what happened to LB at the Lincolnshire Annual NAS conference. There have been a range of blog contributions including reflections from mothers, Rebecca and Shelley Mason, an autobiographical reflection from Damian Milton (coinciding with World Autism Awareness Day), and a discussion around Board responsibilities by Amanda Reynolds. In keeping with the largely (though not exclusively) positive shape of the campaign, we’ve had examples of good practice from Meraud and Adam, Teresa and her sister Ruth, and Michelle and Al. I’d say these were stories of blinking brilliant practice but that would be because my bar is still set too low. These are examples of how things should be. Still online, we’ve had two twitter/web chats with BUStogether and WeLDNurses. These generated discussion around expectations, training and epilepsy. There are some online daily actions; Mark Neary’s ‘Stories from an Assessment and Treatment Unit’ and WiseGrannie’s ‘Lessons from dudes and dudettes‘ are unmissable. Over at Twitter, Anne Townsend is flying the Justice for LB flag from Canada with daily photos of an LB bus card from different parts of Vancouver. Complementing Mark’s blog, Sam Sly is tweeting daily about ATUs from Cornwall. Sports related activities have kicked off big time (sorry). All our athletes have excelled themselves and left us sitting in #107Days hut feeling a bit sloth-like… We are in awe of Ruth for running the Hardmoors Wainstones Trail Marathon for LB and her daughter Hope, Lucy for the Exmoor Marathon and Deborah and Daniel for the London Marathon. Raising awareness in more professional spaces, Bethy spread word of the campaign to Healthwatch. Jenna from the Foundation for People with Learning Disabilities talked about Justice for LB at the Cornish Learning Disability Partnership Board. And LB was the opener for the annual Jim Mansell Memorial Lecture at the Tizard Centre last week. 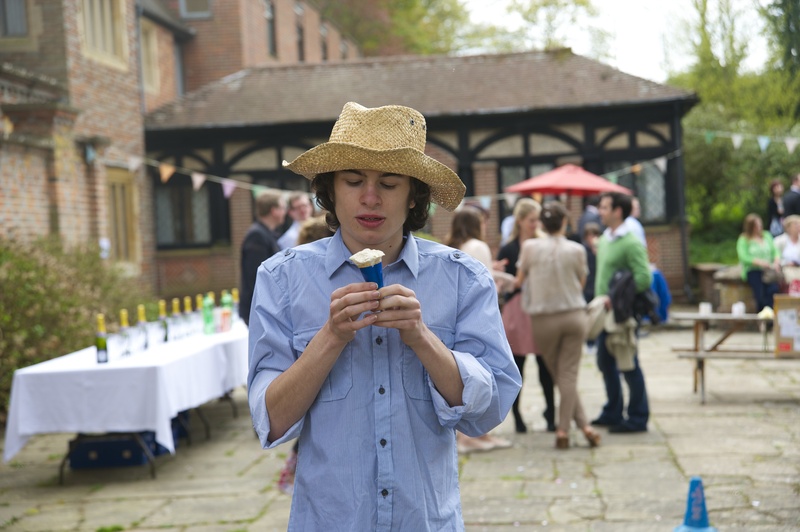 Finally, there are some ongoing ways you can get involved… Through writing a postcard of awesome, signing the letter for Connor, making a patch for the Justice quilt, drawing a picture of a bus and posting it on our JusticeforLB facebook page, or by buying a ticket to the party night on May 31. These activities have not only knocked our socks off for their complete brilliance (thank you #107Dayers) they’ve also generated quite a lot of tears. Now strangely, for me, this ain’t a bad thing. The blubbing I do when I read/see or join in these activities are soothing tears. I never knew about soothing tears before. They seem to combine a sense of awe, hopefulness and vague optimism with pure emotion. If a diverse bunch of people can pitch in with such enthusiasm and demonstrate such commitment to LB and the other dudes, well…who knows what’s possible? I’m going to end by (cheekily in her absence) saying an enormous thanks to George Julian for her legendary, voluntary campaign management of #justiceforLB and #107Days. She’s organising these activities seamlessly, professionally and with (almost) unfailing good humour. This is where I’m happy to say, lessons can be learned. This entry was tagged 107days, 107days of action, action so far, activism, autism, connor sparrowhawk, Day 25, engagement, epilepsy, good practice, involvement, justiceforLB, learning disability, lessons learned, practice, reflection, sara ryan. Bookmark the permalink. A very, very impressive and moving response to the truly terrible things that happened to LB and his family.